Callie Brown's uncle Nestor in Patras, Greece has passed away and left her the contents of his house. Callie believes something in that house will explain her mother's oddities -- why her stories don't match up to those of of her sisters, why she has always been seemingly unable to love or even speak a kind word, why she was so unhappy in America, why she left Greece in the first place but returned, years later. At the same time, Callie must try to figure out her own problems. Why did a proposal from her boyfriend of three years cause her to panic? Is it possible for Callie to give her heart to one man? As usual with a book that leaps back and forth between an historical time period and a contemporary story, interconnecting the two, I preferred the historical story. It's set during WWII in Greece and it was yet another fresh perspective on WWII. I liked the fact that Callie's mother's stories didn't necessarily match up with those of her sisters and the statement the author was trying to make about memory being unreliable, slanted and -- at times -- perhaps less important than the emotional weight we sometimes attach to it (from a personal standpoint). The door to the stairs is just there, across the foyer. But on that earlier visit, I was looking for the site of an innocent childhood game. Instead, I learned that even a shared experience can splinter into conflicting memories. I also really loved the stories from WWII, which are essentially the stories the author's family told her, with a few modifications for dramatic effect. Callie and her mother bear some similarities to my relationship with my own mother -- not in quite so horrid a fashion, but in the manner of "traumatized mother who is unable to share her early experience with her child." Callie manages to weasel quite a bit of info from her mother and aunts, although the end result is rather like a puzzle that's still missing handful of pieces. In my case, even as she was dying my mother was still unwilling or unable to talk about the years before my parents married and her only living sibling also won't say a word. I don't like that, but I accepted it a long time ago and I found that I had very little patience with Callie's quest for information. She was lucky to have such a big, happy extended family that was welcoming to her. That would be enough for me. I also absolutely hated the contemporary setting -- not the place, but the setting in the midst of the annual Carnival, which sounded a bit like a very extended Mardi Gras with some extra immorality tossed in for good measure. It's the kind of setting I do my best to avoid in real life -- raucous, drunken crowds. Blecch. Not my thing, so I didn't particularly like reading about it. Recommended but not a favorite - Loved the WWII storyline, disliked the main character and I found that the mystery of what happened to Callie's mother unfolded too slowly for my liking. I was tempted to set the book aside about halfway through, but I'm glad I finished it. In the end, I found the story was wrapped up in a satisfying way -- a bit like real life in that not everything is complete, but the heroine redeemed herself (although I never really did like her). There are some strange sentences at the beginning of the book and my immediate thought was, "Oh, no, I hope I don't feel like breaking out a red pen all the way through this book." I didn't. 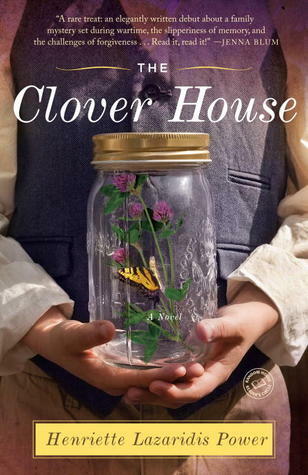 Although there were times I thought a sentence could have been improved upon, The Clover House is really quite well-written, apart from those few bits at the beginning. Sometimes the author can be very wise and thought-provoking. I'm going to abandon the standard format for this review. You saw what happened when Food by Mary McCartney arrived at our house, right? My husband immediately snatched up our new copy of Food and hogged it for days. 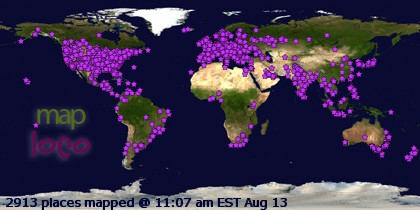 In fact, I'm surprised we've managed to take turns without any fights breaking out. We love it that much. We've tried at least 5 of the recipes. To be honest, I've lost track of the number but I've liked everything except "Leek and Pea Risotto" and that was because the recipe is heavy on parmesan. Parmesan cheese is one of those "less is more" ingredients for me so we're going to adapt the recipe a bit. Husband loved it. The recipes tend to be low on ingredients (very important to us) and have few ingredients that are difficult to obtain (also crucial) and most that are may easily be substituted. They're simple dishes to put together, so Food would make a super purchase or gift for a novice and there's plenty of interesting variety. I got a copy of Food when I commented on a tweet by a publicist at Sterling who said it's good for picky eaters. I'm going to have to agree that, for the most part, that's true. I'm a picky eater -- not as bad as I used to be but still pretty picky because I have too-sharp senses. There was a time when I couldn't even sit across the table from someone who was eating bleu cheese and I meticulously removed onions from anything and everything. 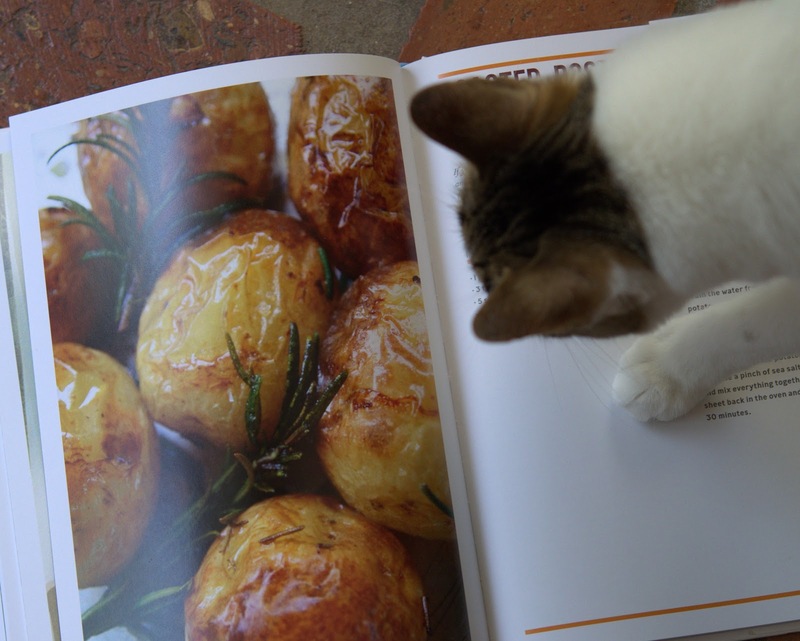 When I flip through most cookbooks I'll find a handful of recipes that interest me, to this day. Jamie Oliver (who wrote the cover quote for Food) is one of the rare exceptions. I'll eat anything by Jamie Oliver. Well, let me tell you . 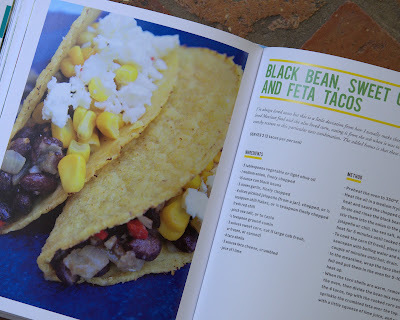 . . Food is so gorgeous and the recipes so appealing that I don't think there's anything (unless it has bleu cheese in it) that I wouldn't try. Kiddo's girlfriend is an extremely picky vegetarian so we're looking forward to cooking for her between semesters, when she'll no doubt be hanging out with us regularly. My personal favorite, so far, is the egg salad. Basic, delicious, no strong flavors to offend a sensitive palate -- definitely the kind of recipe I plan to try on Kiddo's girlfriend. The best thing about Food, though is the photos. 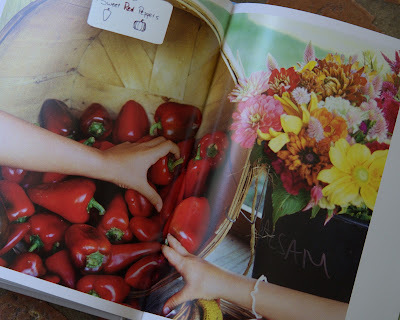 It is the most freaking gorgeous book, with beautiful photo spreads interspersed between the recipes. And almost every recipe contains a photo of the final result. In fact, my husband said I should make a special effort to let people know that the photos are so gorgeous you'll be tempted just to sit and admire them and never get around to cooking. He's just being silly, though. The truth is that the sheer beauty of the book inspired us both. 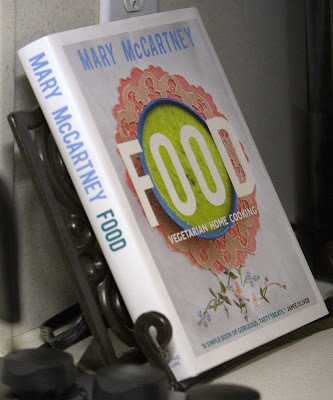 We've kept Food propped up in the cookbook holder (usually open to what we want to try next) when we're not reading it, since the book arrived on our doorstep. There's some nice text about the author's childhood and there are some photos from her youth. The author is Paul and Linda McCartney's daughter -- something I failed to notice about the book when I gushed about how perfect the book sounded for us on Twitter. The author talks about why she cooks the way she does, how she was convinced after years of friendly nudging that she should write a cookbook, how cooking goes hand-in-hand with friends and family for her and some extra cooking notes, but the text is minimal. Still, the opening bits will satisfy McCartney fans who, like me, have always admired the family's surprisingly simple, clean lifestyle. Even Isabel likes Food. Honestly, it's hard for me to imagine anyone not falling in love with Food, if only because it's lovely enough to set on a coffee table. You don't even have to like the recipes. But, we do and we're beating the heck out of our copy. It's going to be one very well-loved book for a long time. Highly recommended - I can't praise Food enough. A cookbook with simple, quick but tasty recipes that are especially great for a vegetarian with a sensitive palate and the most gorgeous photos in the history of ever. I'd honestly recommend this book to everyone, if only for the photos, but it's too terrific to do that. Food would be a great book to keep on-hand even if you've got no interest in a vegetarian lifestyle. Say you occasionally need ideas for dishes everyone will find appealing so that when you entertain you have a delicious spread that won't leave out the friends who don't touch meat -- perfect. The recipes are also great for picky little ones. If you're not a picky eater and desire a bit more flavor, it's easy enough to adapt these recipes by tossing in a little paprika or pepper sauce here, some onion there, a bit of dry mustard . . . whatever. Perfect for gift-giving because it's so beautiful. And, that's your Fiona Friday photo, above. I wasn't expecting Isabel to walk into the frame when I was snapping interior photos and have some much better images to share but I'll save those for another time. 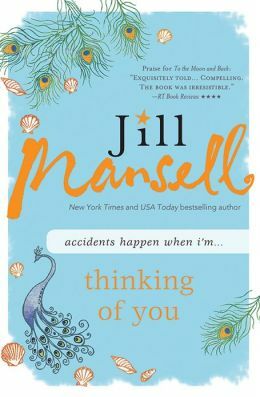 I'm not sure how to describe what Thinking of You is about, because Jill Mansell's books always have so many strands but Ginny Holland is the main character. She has just become an empty nester and is missing her daughter Jem's company so much that she decides to take on a renter. She falls for a charming user (don't want to give too much away, here, so I won't go into detail about who she falls for) and so does her best friend, Carla. And, Ginny's renter is turns out to be a bit of a pain. To get out of the house and away from her depressed renter, Ginny gets a job. Her new boss, Finn, just happens to be a man with whom she's had a bit of a nasty encounter, so she must win him over to keep her job. Finn has recently had his heart broken and . . . I think he looks like George Clooney? Or, maybe I just pictured him that way. There's friendship and betrayal, misunderstanding that leads to a few slapstick scenes, romance and heartbreak and happily-ever-after for anyone deserving. Oh, sigh. I just love Jill Mansell's books. I started reading Thinking of You because the Boston bombing followed by the Texas explosion and idiocy in Congress started getting me down. Jill Mansell's books are always uppers, so I knew reading one of her books would be the perfect remedy for a crappy week. Thinking of You is no exception, although I found myself wanting to shout at Ginny and Gem and Carla, a few times. Sometimes those plot twists and heartbreaks can be a little angst-inducing, but I closed the book with a smile on my face. Ginny is a great heroine and I love the depth of the friendships in Thinking of You. It's admirable the way they forgive and forget wounds inflicted upon each other and I love the reliability of those happily-ever-after endings. Also, she used the word "malarkey" in there, somewhere. You know how I love that word. The characters who are deceitful in Thinking of You are a little too obvious -- enough so that you want to reach in and shake the characters whom you know to be cruising toward disaster, but since everything turns out well in the end there is nothing at all worth complaining about. 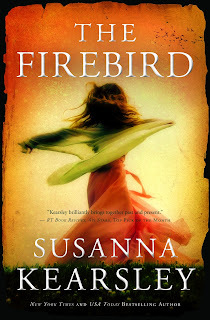 Highly recommended, especially for escapist, beachy-type romantic reading. I've been reading Jill Mansell's books since the 90's and they are reliably complex but light-hearted tales. Her heroines tend to be very much alike in personality -- perky, witty, fun, sometimes clumsy or eccentric, always likable. It never fails to surprise me how many twists Mansell throws into her books and how utterly she snookers me. I had an idea who Ginny would end up with, but Jill Mansell is such a pro. She always makes me doubt myself enough that I'm still pleasantly surprised at the end. Source: ARC from Sterling for review; released April, 2013 in the U.S. The truth is, if you sleep in the room next to a fourteen-year-old science-crazed boy who likes to blow things up, you learn very quickly only to take notice of the very big bangs. Why I read Itch: I have been totally craving YA reads, lately, so I was ridiculously excited when this book was offered to me for review. "Itch" is the nickname of the hero in this book, Itchingham Lofte. Itch is a 14-year-old scientist living in Cornwall (a British shire, or county - way down at the lower left on this British Shire map) with an unusual interest. He is passionate about the Periodic Table of Elements. He has studied the elements thoroughly and has a small collection of elements that he keeps in his house -- or did, till he burned off his eyebrows and his mum made him move everything to the shed. That is, in fact, how the book begins, with an experiment gone wrong that fills the Lofte house with a nasty burnt odor and removes the eyebrows from Itch's face. But, Itch makes an even worse mistake that causes his entire school to shut down. 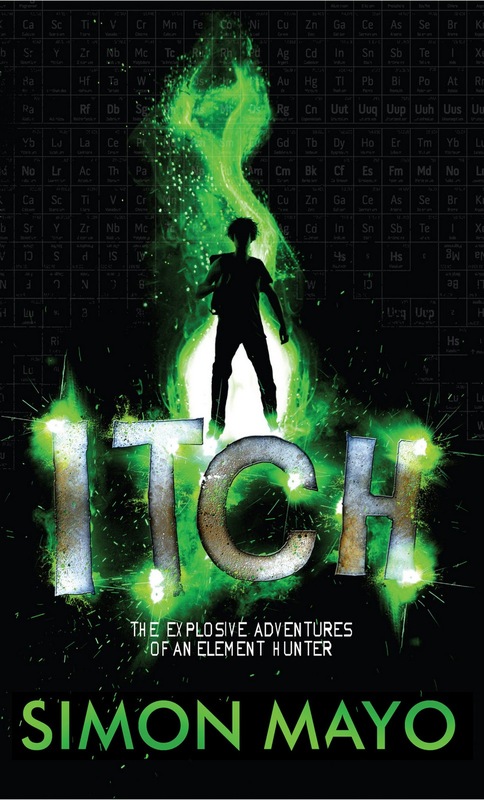 And, then things go from bad to worse when Itch purchases an element that isn't even on the Periodic Table -- an radioactive element that's so important people will kill to acquire it, if they don't die first. Itch is a rocking fine adventure. It starts off with a bang (no pun intended -- and, technically, just after the bang) with a few laughs and eventually becomes a race against time. The whole "boy genius" thing has been done and done again so I was a little nervous that Itch might veer toward the cliché but once I got into it, I enjoyed myself too much to think about tropes. There is way the heck too much throwing-up in Itch, thanks to poison and radiation. However . . . I kept going, which just goes to show you how much I love an adventurous, action-packed plot. Will I read the next book in the series? Yes, but if in spite of my love of action and adventure and people running from bad guys (my favorite dreams are the ones in which I'm running from bad guys -- interesting, no? ), there's only so much heaving a girl can stand so if Itch keeps poisoning everyone, I'll stop at #2. The next book in the series is Itch Rocks. I don't know when it will be published in the U.S. but I asked the author if it has already been released in the U.K. via Twitter and he said, "Yes." Recommended - An exciting action/adventure with a clever hero, some delightful side characters and a nice comedic touch, terrific for escapist reading but with a warning that there is a lot of vomiting in the book. In spite of the fact that I can barely even stand to read the word "vomit," I was never tempted to set Itch aside. It's just too entertaining; the pages flew and I loved the writing enough that I occasionally read passages to my husband (or besieged him with science questions). And, I just blocked the bad mental images; it's a special talent of mine. I told Kiddo about the book and when I said the hero is collecting the elements from the Periodic Table, he laughed and said, "Good luck to him. Some of them are very unstable or radioactive." And, he does plan to read Itch. Am wondering why Kiddo is studying business rather than science, now. Forgot to add my thoughts about the cover -- worth mentioning, in this case, because I absolutely love it. What a grabber! Glowy green explosion surrounding the main character and title? Super choice! And, I love the faint backdrop of the Periodic Table. The Itch cover is definitely one of the most outstanding covers I've seen, this year. I also forgot to mention that Itch is a great hero, the kind of young hero one appreciates because he's got a good heart. I was getting all set to skip the malarkey and dive into reviews, again, then I realized I've lost my light and can't take interior photos of either of the books I planned to review. So, malarkey it is. 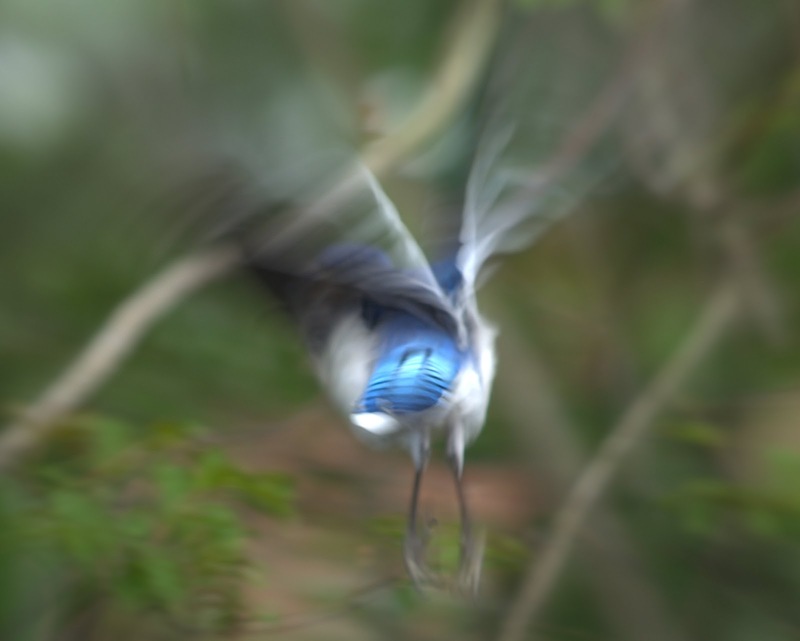 Bird butts seem like a good place to start. 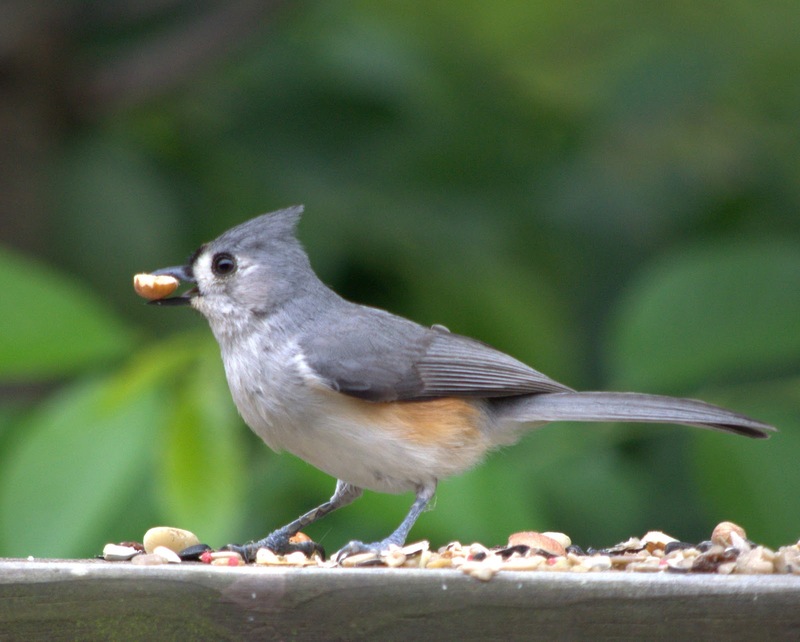 The mosquitoes are out, now, but I'm still occasionally finding the time to go outside to try to snap bird photos and simultaneously get munched upon. Above is the first bluejay I've managed to photograph, haha. Oh, well. Some days I think bird butts are my specialty. Thinking of You by Jill Mansell - because there's nothing like a little sweetness and light after a week like last week. What a Mother Knows by Leslie Lehr - about which I have mixed feelings. It'll be rough reviewing this one. 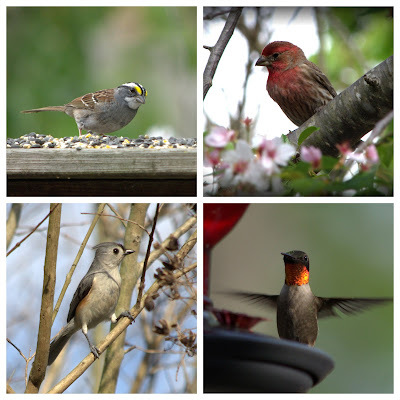 I also sat on the porch reading Food by Mary McCartney and discussing recipes with the husband whilst sipping coffee and occasionally stopping to admire the birds, last night. That was fun. I haven't bothered putting Food in my sidebar but it's really popular in this house. I'm amazed that fights haven't broken out over who gets a turn with the cookbook. There have been a few new arrivals but now that I've got a new system for organizing ARCs, I keep hauling them off to put them in the correct stacks so I can't photograph them. However, these are the only two ARCs that arrived. Nicola Marter was born with a gift. 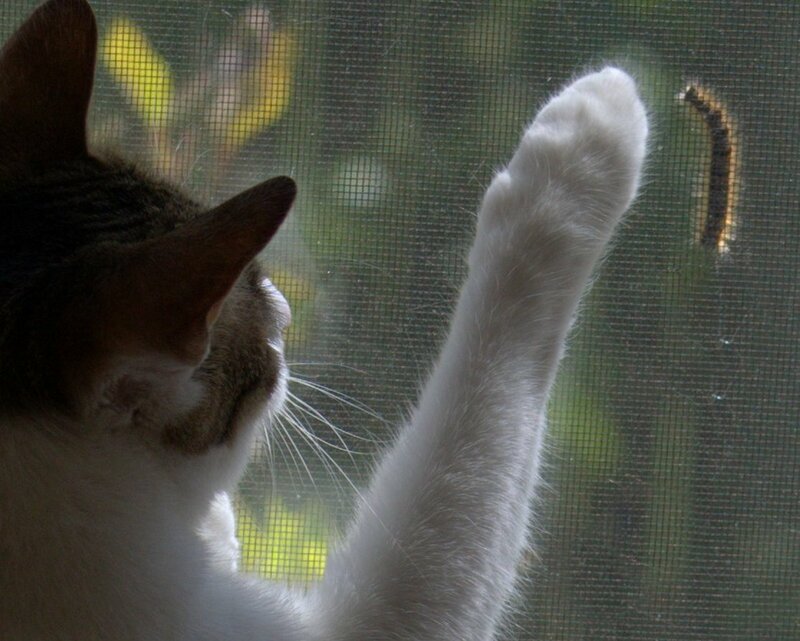 When she touches an object, she sometimes glimpses those who have owned it before. When a woman arrives with a small wooden carving at the gallery where Nicola works, she can see the object's history and knows that it was named after the Firebird--the mythical creature from an old Russian fable. Compelled to know more, Nicola follows a young girl named Anna into the past. Anna leads her on a quest through the glittering backdrops of the Jacobites and Russian courts, unearthing a tale of love, courage and redemption. A panoramic historical novel of love, adventure, and identity—with an astonishing twist. 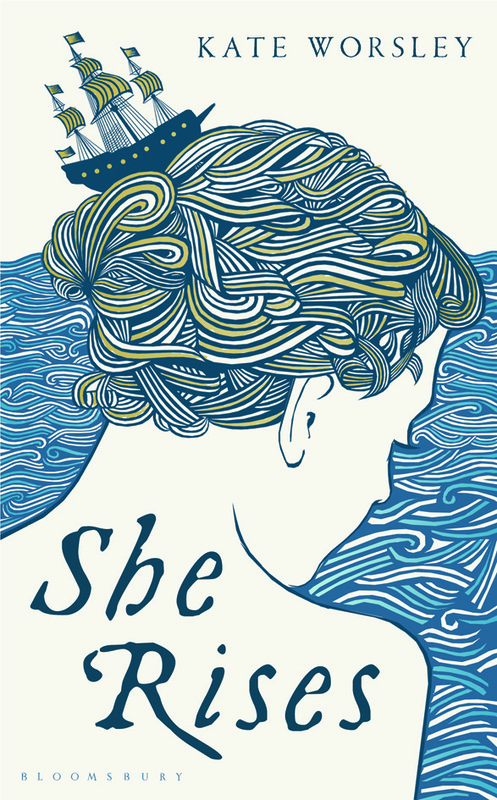 She Rises brings to vivid life both land and sea in Georgian England, but explores a thoroughly modern and complex love story. Bold, brilliant, and utterly original, She Rises is an accomplished and gripping search for identity and survival. I've gotten a few books from PBS, as well, but they're scattered. I've got some major housework to do. I've just started Have Mother, Will Travel by Claire and Mia Fontaine and I'm not far but I have a feeling I'm going to love this mother-daughter travel memoir. I know the language is awful (skip if you're sensitive to bad language) but I loved article from The Onion because it was just so accurate to how I felt about last week: Jesus, This Week. It was, indeed, a rough week for America but I am pleased to say that I found more positive, uplifting tweets on my twitter feed than . . . you know, conspiracy theories or articles about racists coming out of the woodwork, which was pleasing, although I personally felt like curling up in a ball and wailing when our Congress fell through on background checks. In case you're an American who thinks the government is trying to mess with your 2nd Amendment rights, please read this article on Amending the Constitution. It's a lot more complex than some people would lead us to believe. She keeps chirping at me, tapping my arm with her paw (I love it when she stretches up on her hind legs and gives me a gentle, "Hey, pay attention to me!" 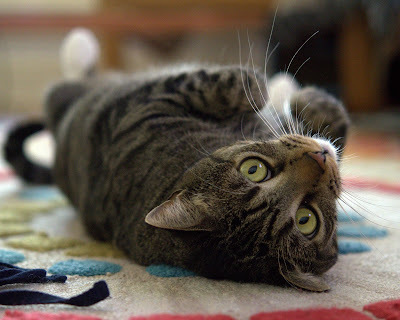 tap) and winding around my legs. So, I'll leave you with a Doctor Who Revisited trailer . Tom Baker is our all-time favorite, the Doctor we watched on husband's black-and-white TV in rerun form, Saturday evenings in the dorm. I am that old. Unfortunately, we don't have access to BBC America, so someone out there will just have to watch it for me. Source: Personal Library, purchased for F2F discussion . . . which I had to miss due to a migraine. Bummer. Diet (pronounced DEET) Eman's story is about falling in love just before WWII and how she and her fiancé, Hein Siestma, helped start a branch of the Dutch Resistance when they agreed to hide 3 Jews by finding them homes with farmers in the countryside. From the original 3, the number grew and exploded to the point that it was difficult for those in the Resistance to keep up with the needs of the hidden. Let's just stop right at the word "liked" and back up. I was astounded by the bravery of Diet and her fellow resistance workers. "Like" doesn't even begin to cover my feelings. I think Things We Couldn't Say is one of the best WWII books I've read in my life. It is also one of the most harrowing. There were many, many times I discovered that I'd been holding my breath during scenes of danger. How anyone summoned the courage to take the risks Diet and the other Resistance members did (transporting people by train in full view, finding places to hide them, carrying forged ration cards and other documents) is truly beyond me. The most amazing thing about Diet Eman's story: Diet and many of the Resistance workers were imprisoned and some died but not a single Jew that they hid perished. Not one. Wait, no, that's not the most amazing thing! The real jaw-dropper was the fact that after being imprisoned, in spite of having lived through horrendous conditions and being faced with torture or death, when she was released Diet went right back to work in the Resistance. Nothing. I am shocked that this book hasn't been made into a movie. It's one of the most heart-pounding, mind-blowing WWII books I've ever read. When the war ended, I felt like I'd lived through it with Diet. I had tears of relief streaming down my face. While I don't think Things We Couldn't Say is as beautifully written as The Hiding Place by Corrie ten Boom, that's actually a good thing. Because of the way it's written, you can almost hear Diet's accent. Incidentally, she was held in the same prison as Corrie ten Boom and her sister Betsy, for a time. Diet and Hein were also Christians and there's a lot of talk about and to God in the letters and diary entries within the pages of Things We Couldn't Say. But in their case Christianity was a guiding light, a comfort and the compelling reason for their continued work. Their mission was not to spread Christianity but to put its principles to work. There were times Diet was so exhausted she felt as if she couldn't go on, succumbed to exhaustion or felt her faith floundering, but she continued to do everything within her power to provide for those in need till the end of the war. There were at least two times Diet received warnings that sent chills down my spine. In one case, she actually heard a voice telling her she'd better get a good look at the man she was with. Although she refused to give in to what she knew in her heart was true, it was the last time she saw that man alive. Highly, highly Recommended - There aren't enough glowing words to describe Things We Couldn't Say. I found myself thinking, "If everyone in the U.S. read this book, the whining would go away . . . at least for a while." It's difficult to fathom the hardship, the terror, the hunger and cold and cruelty people experienced during WWII but as I read . . . I was there. I was simultaneously terrified for Diet and staggered by her courage and intelligence. When Diet wrote the book she said, in spite of ample photographic evidence and first-hand accounts, 22% of Americans didn't believe the Holocaust even happened. That was almost 20 years ago. Now, we see denial of horrifying events practically the moment they show up on the news, which only makes Diet's story more important than ever, in my humble opinion. Apologies for the onslaught. I need to go ahead and write while I'm in the mood and I decided to just go ahead and post three reviews on the same day so that I can add the links to my Books Read in 2013 list. It's just easier. I need easy, this week. Dorothy and her dog Toto are carried to a foreign land known as Oz by a powerful tornado. In Oz, the house lands on the Wicked Witch of the East and Dorothy acquires the witch's charmed silver shoes but she doesn't know how how to use them or whether she will ever manage to return to Kansas. She's told to follow the yellow brick road to the Emerald City to ask The Great and Terrible Wizard of Oz to help her return. Along the way, she makes new friends, meets some very interesting people and faces many challenges. Oz insists that he will only help Dorothy and her friends with their needs if they kill the Wicked Witch of the West. When she finds out the wizard is nothing but a "humbug", will Dorothy be stuck in Oz, forever? 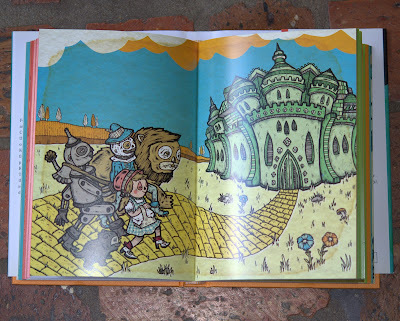 I read a condensed version of The Wizard of Oz [sic] in 2009 and thought it a delightful story. Since then, I've wanted to read the original in its full glory, but I obviously didn't rush out to find a copy. When I was contacted about reviewing a new edition, I jumped at the opportunity. I don't participate in reading challenges (although I occasionally will follow along in spirit by reading a book or two fitting the theme) but I had the Once Upon a Time Challenge in my head. Spring feels destined for fantasies and fables, thanks to the annual challenge. There is much to love about L. Frank Baum's response to the older and very dark fairy tales by Grimm and Anderson. 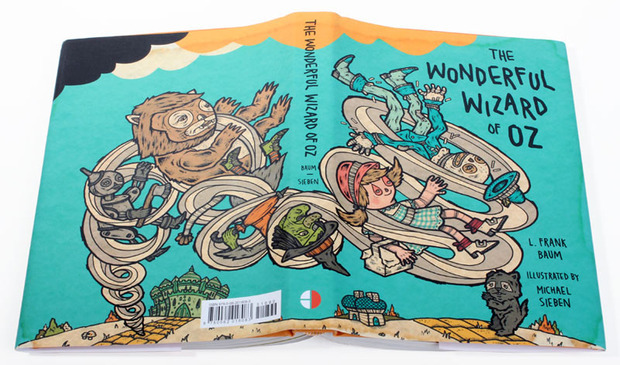 Baum thought they were too horrifying; and, it was time for a new kind of "wonder" story. Because he deliberately set out to avoid the gore and horror of older stories, The Wonderful Wizard of Oz is surprisingly innocuous, which pleased me because I'm none too fond of the scary bits in the old movie. Bad things happen, but they're invariably followed by good. Even the notorious flying monkeys are not all that evil. They've been enslaved for being naughty and have to do what they're told, but they're not malicious. Typically, for a story that has been altered when made into a movie (quite a few times, although I admit to ignoring all but the Judy Garland version made in the 30s) there is a great deal more to the book than the trimmed-down movie version. Munchkins are only one of the different peoples Dorothy meets. I was particularly surprised by the village made entirely of china and the Winkies, who were held captive by the Wicked Witch of the West. What is special about this particular edition? The Harper Design edition has nice, large print (but not huge) and it's very high quality -- the kind of book with an upscale scent that makes you want to stick your nose between the pages and inhale deeply. The edges of the pages are colored so that, when closed, there is a rainbow of colored strips. 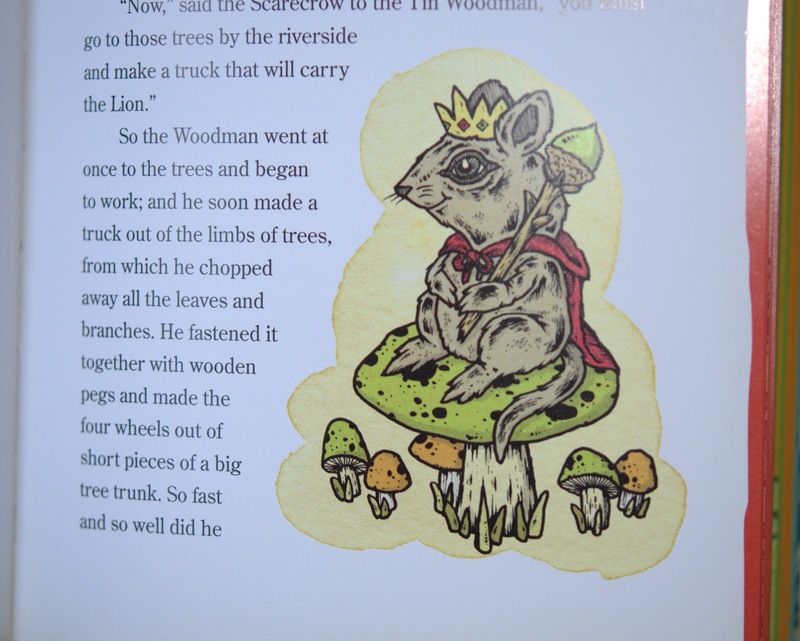 And, the illustrations are unique to the edition, of course. Beneath the jacket (shown open at the top of this page), the cover is orange cloth with a small black line illustration of two jars, one that says "brains" and the other "courage", along with a heart. I confess that I don't love the illustrations. Some of them are cute (like the mouse queen, below), but for the most part they're not to my taste. Toto doesn't even look like a dog, to me. He looks like a stuffed bear with an awkward tail. But, I was all about the story, in this case, and I know of at least two people who will probably love the illustrations. I do like some. I love the slipcover illustration and the illustration beneath. The illustrations have what I think of as the "new graphic look" (my wording) - simple but just a little on the weird side. 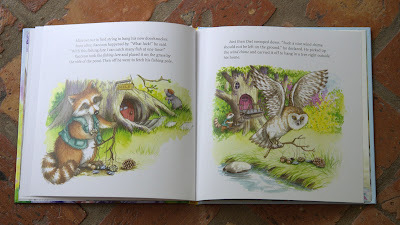 I love the fact that the book is packed with illustrations, including a lot of two-page spreads. 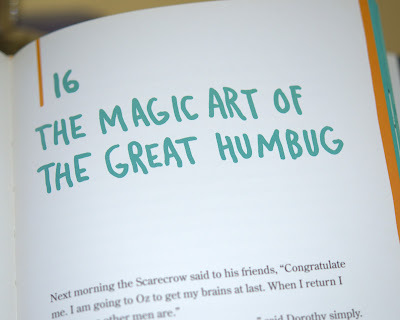 And, I'm stupidly fond of the chapter headings. 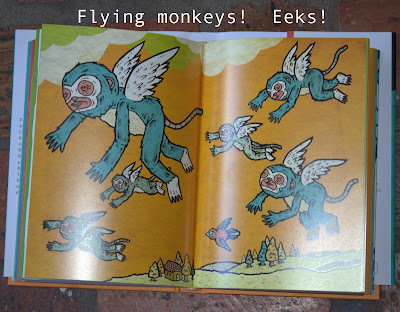 I still don't love the flying monkeys, innocuous though they may be. Recommended - A fun, escapist read that is nowhere near as sinister as the movie. 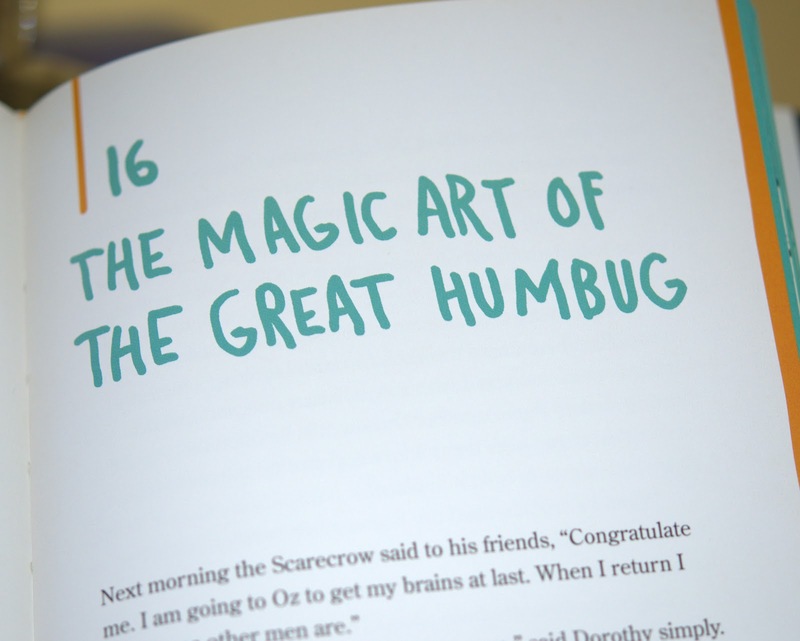 I absolutely loved the unabridged storyline in The Wonderful Wizard of Oz, especially the part where the wizard confesses that he's not at all "great and terrible"; he's just a "humbug" (a fraud). Whether or not you're interested in this particular edition probably will have to do with the illustrations and quality, more than anything. I'm impressed with the quality but am not a big fan of the illustrations, although I had my favorites. It's always tremendous fun reading the original classic and finding out what was cut from the book or changed when the book was made into a movie. Silver slippers rather than ruby red! Winkies trapped in slavery! Likable flying monkeys! Very cool. 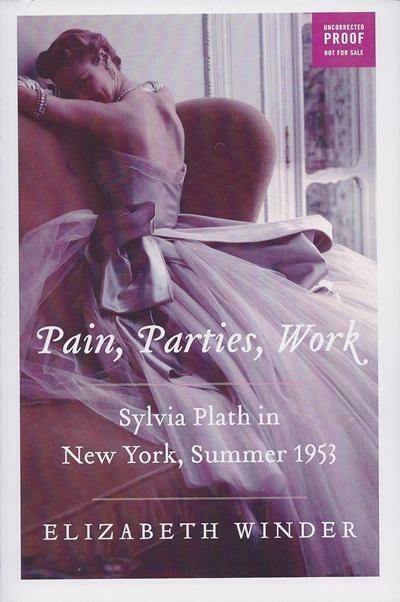 Pain, Parties, Work is about Sylvia Plath's month in New York, working as a "junior editor" at Mademoiselle magazine. The author's objective is to attempt to "undo the cliché of Plath as the demon-plagued artist". I haven't read anything at all by Sylvia Plath and I was curious about her, what she was like during her younger years, before she became depressed enough to take her own life. In Pain, Parties, Work, I thought author Elizabeth Winder did an excellent job of describing the Sylvia that people who lived and worked with her knew during one stifling month living at the Barbizon Hotel in New York City (a place for women only, with tiny rooms and curfews) -- the clothes she wore, her daily activities, the men she dated, the authors she admired, her writing, her brief but memorable friendships. The author talks about Sylvia's love for the beach and tanning . . . her happy place, I guess you'd say . . . and how missing out on her usual summer beach time may have impacted her emotions. I think the author did an excellent job of describing Sylvia as a charming, brilliant, fashion-crazy artist and a flirtatious, happy young woman. The book contains plenty of recollections from people who were there during her month at Mademoiselle, the occasional quote from Sylvia's journals and a nice variety of photographs. I found Pain, Parties, Work fascinating and very difficult to put down. Winder traces the arc of Plath's month at Mademoiselle, showing how Manhattan's alien atmosphere unleashed an anxiety that would stay with her for the rest of her life. 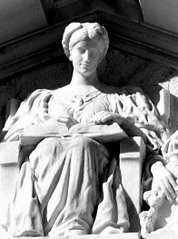 There were broad hints, as that quote indicates, that Sylvia was already unbalanced. I found it of particular concern that she was physically attacked more than once (not successfully -- she fought off predators well), yet she went out a second time with one of her attackers. Recommended particularly to readers who are curious about Sylvia Plath or enjoy biographies. A surprisingly entertaining account that I found difficult to put down, Pain, Parties, Work has piqued my interest in Plath's writing and I hope to read some of her poetry and The Bell Jar, soon. Yes, it does end on a sad note and I'm not entirely certain the author's goal was met. But, Elizabeth Winder did an excellent job of gathering information, including personal accounts and photos, that formed a vivid image of Sylvia Plath as a sparkling young woman with a promising future. Pain, Parties, Work is yet another reminder of how poorly mental illness was treated, not so long ago, as Zelda Fitzgerald's story was in Z. That's all for now! Happy Wednesday! Little Wolf Goes to School, Little Raccoon Learns to Share, Little Chipmunk's Wiggly,Wobbly Tooth and Little Bear's Baby Brother are all from the "Watch Me Grow" series written by Mary Packard and illustrated by one of my favorite children's book illustrators, Lisa McCue. 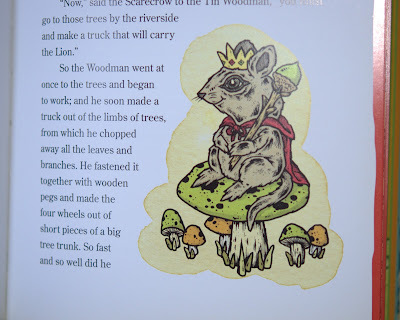 Brief note: I've opted to skip the "Children's Day" concept, since I have quite a few to review, and just spread out the rest of my children's book reviews. I've photographed one page spread from each of the "Watch Me Grow" books and you should be able to click on each photo to enlarge. Little Wolf Goes to School tells the story of a little wolf who is a little nervous about his first day of school and asks his friends what they know about school. He's not certain he wants to go, but his mother reassures him that he'll be fine. He'll learn new things and he doesn't immediately have to be the best at every activity. The day arrives and he has a lot of fun learning. When Bunny goes missing, Little Wolf uses his special ability at following scents to track the missing student, who has fallen asleep in a patch of tall grass. Little Wolf is surprised the day has already ended when his mother shows up and "can hardly wait for the second day of school". Little Chipmunk's Wiggly Wobbly Tooth, Little Chipmunk notices one of his teeth is wiggly and then finds that he can't bite into an acorn or other hard foods. He goes to the dentist, who tells him all is normal. Soon he will lose his baby teeth and new ones will grow in. Relieved, he becomes excited about losing his tooth and runs to share the news when his first baby tooth falls out, only to find that all of his friends have also lost at least one tooth. He snaps a picture of all of his friends to remind them of the time when they were waiting for their grown-up teeth to grow in. 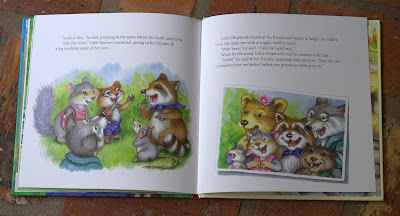 In Little Bear's Baby Brother, Little Bear comes from a big family with lots of cubs. It's not unusual for new babies to arrive but when Mama says it's time to get the crib down from the attic, Little Bear's excited and wants to know how soon the baby will arrive. "When all the snow has melted and the ground is soft and green," is the reply. "Until then, we will be very, very busy. Everyone will need to help get ready." They hang up new curtains and paint the crib. 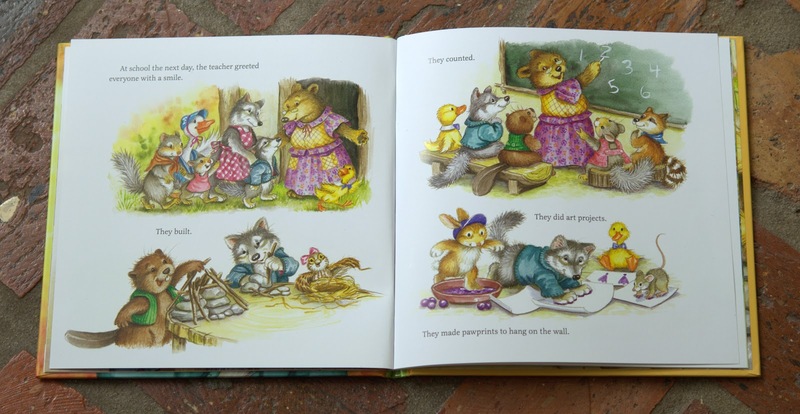 But, Little Bear wants to do something very special, so she collects pretty things from the forest and her father helps her make a mobile. When it's left out to dry, a mole wonders "Who would throw away something so fine? A door knocker like this will surely come in handy!" Each time someone sets down the mobile, another creature finds a new use for it and carries it off. Little Bear finds the missing mobile in a tree and retrieves her creation just in time for her new baby brother to enjoy it. Little Raccoon Learns to Share is about a raccoon whose favorite word is "Mine!" She doesn't like sharing and she likes being first. She's so nervous about sharing that she hides with her basket of berries when friends come along. 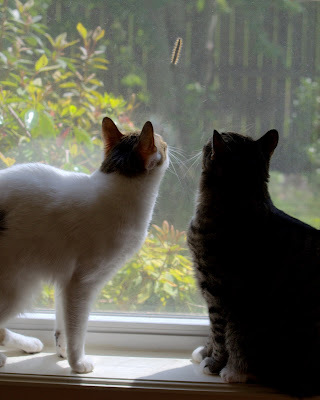 But, as she watches them play, she feels a little sad not to join them and to be left out of the party she hasn't been invited to attend because she wasn't there when the other animals came up with the idea. 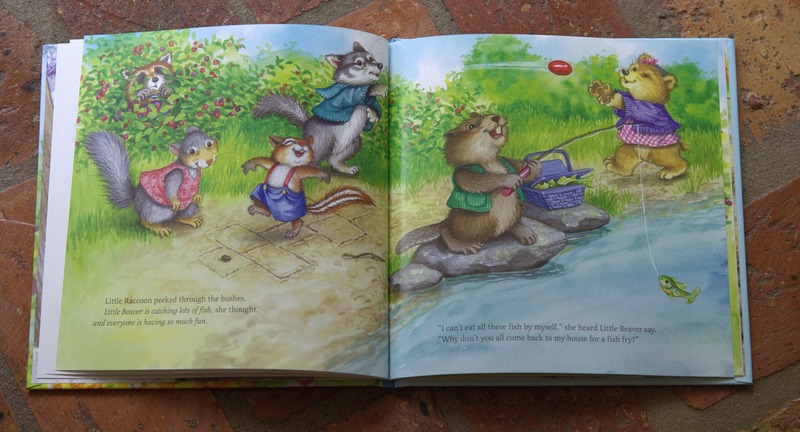 Her mother makes muffins using the berries she's collected and Little Raccoon shows up at the party. She's welcomed and Little Beaver thanks her for bringing muffins. Soon, she's having so much fun playing that she realizes it's much more fun to share than to be alone. Little Bear's Baby Brother is my absolute favorite of the four books because I love the creativity of the mobile she makes for her unborn sibling and the unique ways each animal imagines the mobile might be used and I like the fact that Little Chipmunk's Wiggly Wobbly Tooth makes going to the dentist sound so innocuous by making it Little Chipmunk's idea. But, honestly, I love anything that Lisa McCue illustrates. All four are nice little hardback books with everyday themes that most parents have to discuss/explain to their children, at some point. 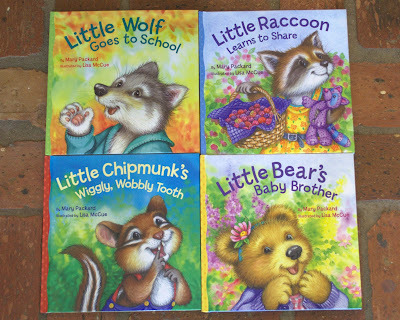 Lively, cheerful illustrations and sweet storytelling make all four books lovely choices to help prepare children for a new sibling, first day of school, losing a tooth or teach them about sharing. They're also very reasonably priced. 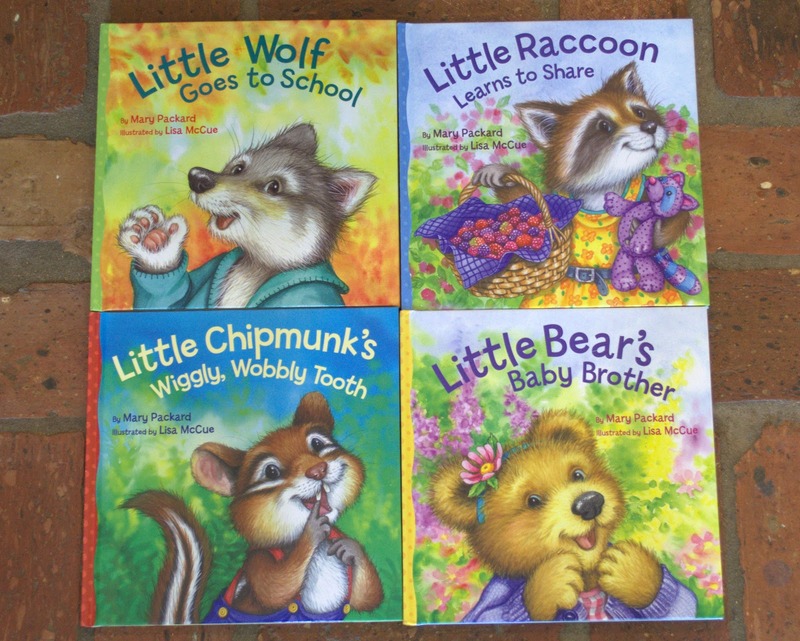 I received all four from Sterling Children's Books for review. I liked them all and recommend them especially to adults who are looking for books with a simple storyline and theme that includes delightful illustrations and a lesson. They would make nice little gifts for special occasions or no reason whatsoever ("happies" as they're known in the South). It doesn't seem right to post without saying something about yesterday's Boston explosions. My thoughts and prayers are with all who are injured, grieving, or worrying about a friend, relative or loved one. Source: My friend Paula sent me her ARC of Orphan Train and then a copy arrived from HarperCollins. The finished copy has a very interesting P.S. section with more info on orphan trains. Molly is 17 and has been in foster care since her father died. In trouble for stealing, she can either go to juvenile detention or do community service. Her boyfriend's mother works for an elderly woman who needs help cleaning out her attic and manages to get Molly lined up to help Vivian as a substitute for more typical community service hours. Vivian Daly has lived in Maine since her retirement. In her youth, she immigrated from Ireland but lost her entire family and was sent west on an orphan train. Her attic holds a wealth of mementoes from a life well-lived. As Molly and Vivian begin to sort through Vivian's attic, they discover that their lives bear some uncanny parallels. Orphan Train alternates between Molly's story in present-day Maine and Vivian's tale from her traumatic childhood to just after WWII. 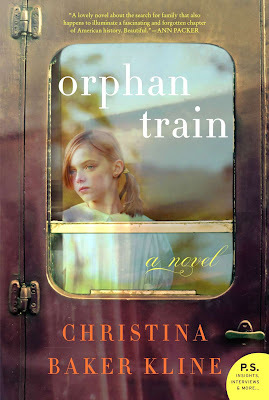 I absolutely loved learning about the orphan trains in America -- a piece of history that was totally unknown to me -- and thought the author did a fantastic job of comparing life as a foster child with life as an orphan who was more likely to end up being used as a common laborer than loved and adopted. 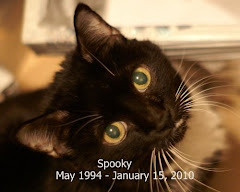 But, most importantly, I loved both Molly and Vivian (or Niamh, pronounced "Neev", her given name). I cared about them and because I wanted to know how their stories would end the pages flew. One scene I particularly loved is a conversation in which Vivian asks Molly what she got in trouble for stealing. When Vivian finds out Molly stole a copy of Jane Eyre, Vivian's reaction is priceless. The only thing I disliked about Orphan Train was the fact that I thought it would have been a bit nicer to reveal Vivian's story through dialogue with Molly, rather than in alternating chapters. I think it would have given the book a little more emotional impact. But, it wasn't written that way and I still loved Orphan Train. Highly recommended. Likable characters, a fascinating storyline with nicely-drawn parallels, a fascinating peek into a part of American History I knew nothing about and a satisfying ending made Orphan Train a book I set down with a (mildly soggy) smile on my face. I have a lot of catch-up to do, after last week's unexpected loss of blogging mojo, so I'm going to try to write at least one review per day. "Try" is the operative word. I still don't feel much like writing, but we'll see how it goes. It's been warm and muggy but the mosquitoes aren't out, yet, so I've been spending a lot of time out on the patio, watching the birds (and occasionally -- but not always -- photographing them). The photos above are all pictures I've taken since Monday. This week's the first time we've had a definite hummingbird sighting (although we suspected that we were buzzed by one, a week or two ago). Very exciting to see them back! Hummingbirds are tremendous fun to watch. Hope you're all having a terrific week! I got one request for photos of recent arrivals, so this is for you, Gaye. I guess this is about 3 weeks' worth. They're ridiculous, but beautiful. Food: Vegetarian Home Cooking by Mary McCartney (Paul & Linda's daughter), which is simply the most gorgeous cookbook I think I've ever seen. So far, Huz has cooked the macaroni and cheese, which is great - very mild, so it would definitely be perfect for picky eaters - and prepared leek and pea risotto to toss into the oven, tonight. I'll let you know how that turns out. I also got Itch by Simon Mayo from Katie at Sterling. It's a YA that I plan to read very soon. 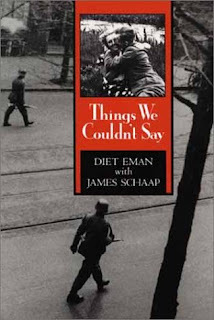 I'm definitely going to be in a YA mood after reading a WWII memoir (currently reading Things We Couldn't Say by Diet Eman). Seduction by M. J. Rose - all 4 are ARCs sent by my lovely friend, Paula. Paula also sent me Z by Therese Fowler and Orphan Train by Christina Baker Kline. I've read and reviewed Z and plan to review Orphan Train, this week. Down at the Dino Wash Deluxe by Myers and Pamintuan was sent by Sterling Kids. 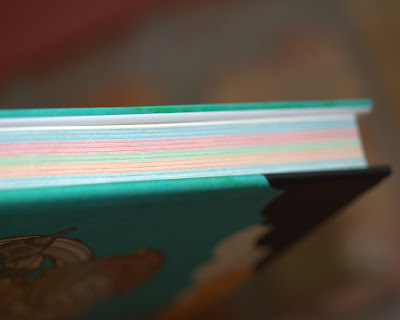 I'll have a Children's Day in which I'll review Dino Wash, 4 books from a series (2 are in the sidebar, at the moment) and The Wonderful Wizard of Oz, this week. How's that for insanity? Obviously, I should read Dirty Secret right away. She was trying to enjoy a little darkness and quiet. I can't help it Isabel's so cute that I have to snap her picture! 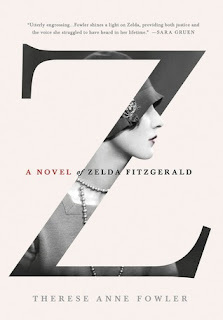 Z is a novel in which the author tried to imagine and portray how Zelda Fitzgerald may have felt during her courtship and marriage to F. Scott Fitzgerald. I thought Therese Fowler did a phenomenal job of presenting Zelda as a lively, accomplished individual with surprising strength of character. Her mental illness and the treatment that likely caused her worse trouble rather than being curative is very nicely described (and made me burn with anger). I came out of the reading with an unexpected admiration for Zelda. She's been much maligned as "crazy" and blamed for her husband's decreasing productivity, but Z makes it clear the opposite was likely true. She was far from perfect but Scott Fitzgerald definitely came off as an alcoholic blamer in denial. I've always been fascinated by the expatriate crowd of the 1920s and Z definitely makes me want to read more. I also appreciated the fact that Z didn't focus exclusively on the negative. A lot of the recent historical fiction titles I've read have been painfully melancholy in tone, which I abhor. I thought Z contained a nice balance of the good and bad times and Zelda and Scott's emotional reactions. Scott and Zelda were a tragic pair, but Therese Fowler gave Zelda back her humanity, in my humble opinion. I'm perplexed by the author's choice to fabricate letters when she clearly states in her notes that she had access to the real thing. Zelda and Scott Fitzgerald apparently left a wealth of correspondence to each other and to friends. I understand that the book is fiction, but I think when fiction involves characters who really lived and breathed, it's best to incorporate as much of reality as possible. Highly recommended - A very nicely balanced account of the tumultuous life of a famous couple from the more maligned woman's point of view. In spite of the fact that I strongly dislike the use of fictionalized letters, I think Z is one of the best fictional biographies that I've read in quite a while. I've made some minor changes to my old easy-review format, but this is what I'm going to stick with, for now. I added the "source" of the book because I often forget to note whether a book is an ARC from a publisher, a book received from a friend, a library check-out (rare -- still don't have a library card for my new county) or from my personal library. I made it my goal, one day, to try to capture a photo with both a European bee (the most productive cross-pollinators and honey producers) and one of those whopping big bees that we normally see. We have hardly seen any European honeybees since a big die-off in 2005, but this year we have plenty. I think there must be a local beekeeper, nearby. The small bee at lower right is the European. I don't know what the inch-long fellow in the flowers at top left is called. Anyway, I had fun shooting and am thrilled to see European bees, since mass die-offs have become a regular event. 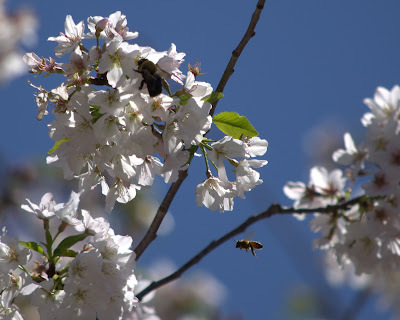 This tree was actually so full of bees, last week, it sounded like the tree was humming. 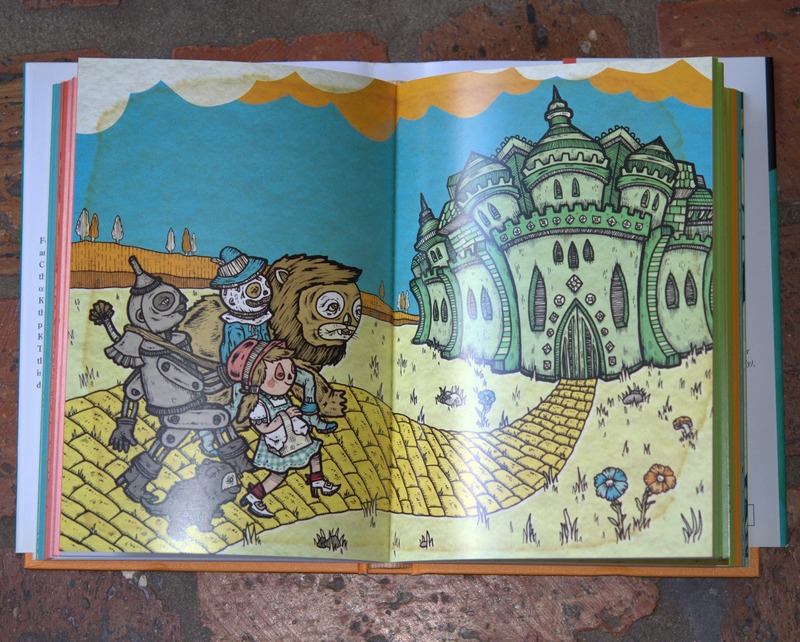 The Clover House by Henriette Power and The Wonderful Wizard of Oz by L. Frank Baum - a new edition illustrated by Michael Sieber. Almost done with The Clover House. Oz is fun and surprisingly lacking in menace by comparison with the movie, thus far. I love the fact that this edition contains an introductory note by the author explaining why it was time for a new kind of fairy tale as "modern education includes morality." Boy, times do change. Modern education apparently is about to include armed teachers, where I live. Ask my former-teacher son what he thinks about arming "the most stressed-out group of people" he's encountered and you'll get an earful. I tend to use natural light and we've been low on that, due to a stormy week. I'll snap photos of my gigantic stack of recent arrivals when the sun comes out, 'kay? I've been organizing my ARCs by month of release so a couple might disappear due to organizational imperative, but you'll obviously hear about them soon enough. What wonderful books have you read, lately? Quick and easy format, this time . . .
What's Shadows and Strongholds about? Brunin Fitzwarin is a12th-century victim of bullying. His father wants him toughened up and trained, choosing best friend and ally Joscelin, Lord of Ludlow to do the job. At Ludlow, Brunin is taught with kindness. Joscelin's three young daughters, Hawise, Sybie and foster daughter Marion make him welcome. As Brunin grows to knighthood, he is called upon to use and perfect his skills in battle after battle fighting for Prince Henry against King Stephen to win the English crown and at times to defend his loved ones. There are private and royal battles, love and envy, a bitter old woman, a sad henpecked family, bullying, birth and death, victory and tragedy. Elizabeth Chadwick's writing covers pretty much everything. I am always impressed (dazzled, snowed, boggled, astonished, amazed . . . just feel like synonyms, this week) with the author's knowledge of her chosen time period, the way she brings it to life and how engrossing her books are. She knows how to keep things entertaining; her books are fairly long but never, ever the slightest bit dull. Highly Recommended - Worth buying for the good shelves. Superb writing, phenomenal storytelling, breathtaking detail, sparkling characterization, a moving tale of love and tragedy with plenty of wit and humor thrown in. 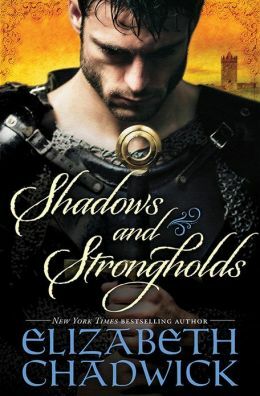 As I was reading Shadows and Strongholds, I realized that Elizabeth Chadwick's books definitely should go onto my permanent list of "desert island reads". In case of potential disaster, bring Chadwick books.